Cook udon according to package directions. Mix the sauce ingredients and slice the green onion. Drain noodles, then stir all ingredients together to combine. 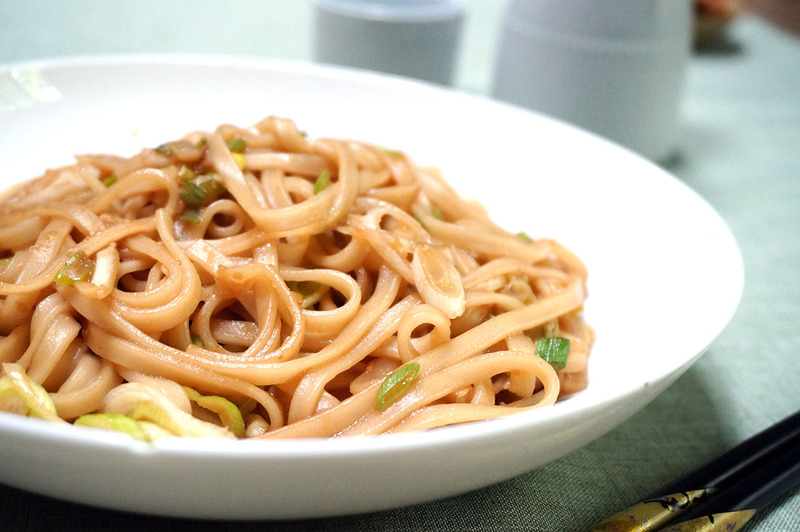 Lightly coated with a sweet and nutty sauce, these chewy udon are a quick and easy meal to satisfy your noodle cravings! With lots of sesame and a hint of ginger, this elegantly simple dish is a great meal when you’re short on time but want full on flavor! I love how easy it is to pull together a good noodle dish. Especially Japanese noodles, just a little bit of seasoning is all you need to have a really great meal. With minimal ingredients and cooking time, a bowl of noodles is a great fall back recipe when your cabinets are looking a little sparse, or when you don’t want to fuss with too much cooking! While I made this dish with udon, the sauce goes great with any type of pasta, even regular spaghetti! 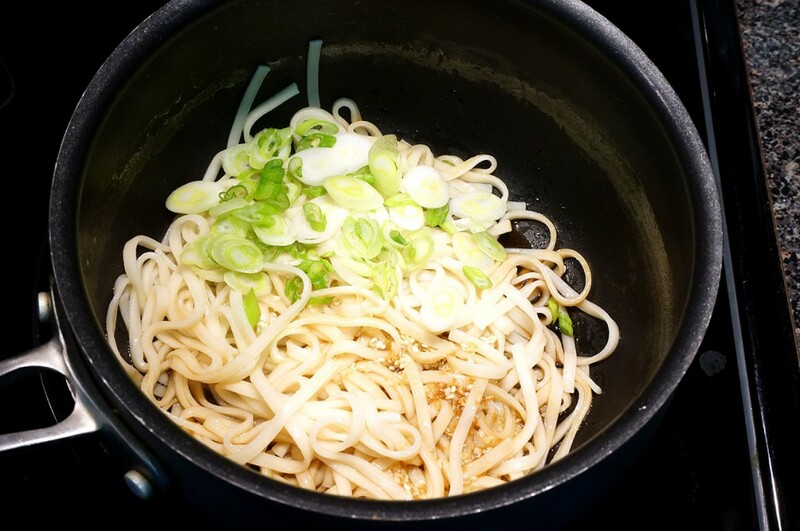 I love using dried udon best, but my husband likes the pre cooked kind, and we often make it with soba too! Feel free to experiment with your favorite noodles to make the dish your own. And if you’re looking for a little something extra to add to these noodles, it’s easy to add in your favorite proteins as well. Pan fried tofu is a standard for me, but I love it with chicken too! – Cook the udon according to package directions, boiling them in a small pot for about 10 minutes, depending on the brand, until soft. 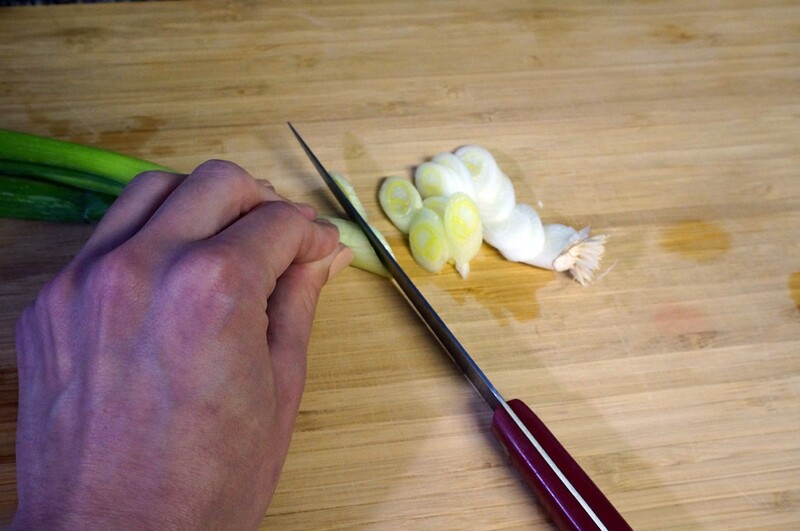 – While the noodles are cooking, cut the green onion into thin slices. 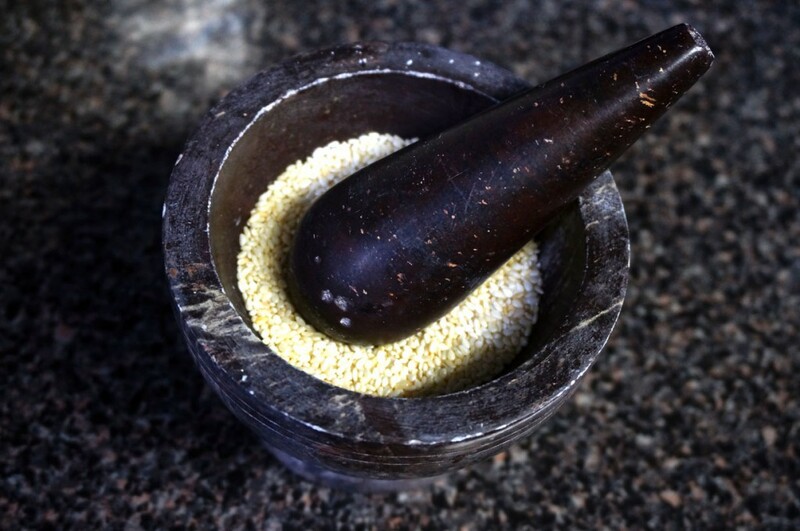 – Grind the sesame seeds using a suribachi. – Prepare the sauce by mixing the ginger, soy sauce, vinegar, and honey in a small bowl. 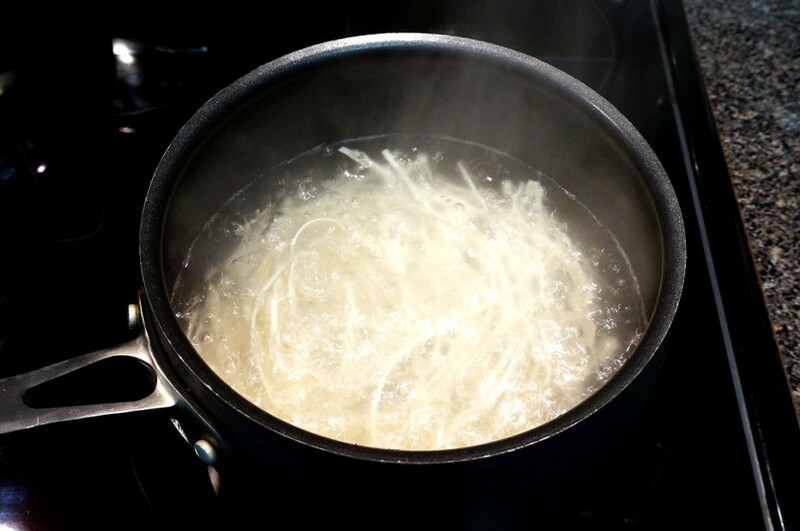 – Once the noodles are cooked, drain them then return them to the pot. Add the remaining ingredients to the pan, then stir to combine. – Serve right away, garnishing with more sesame as desired. 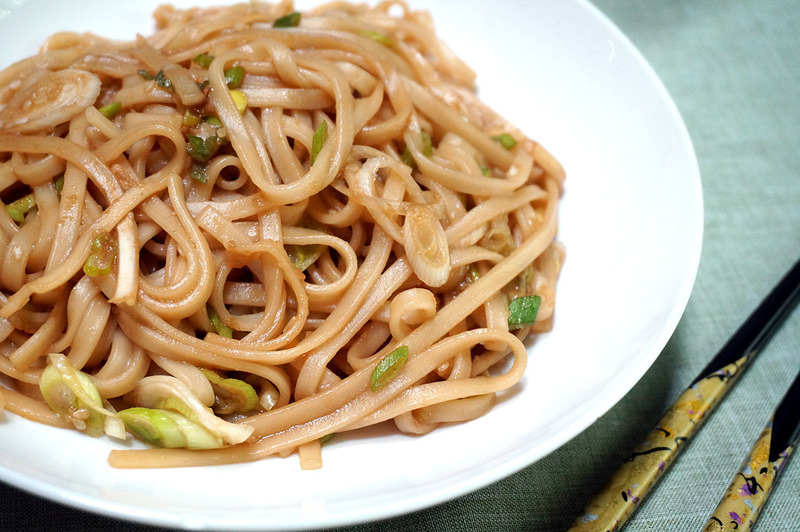 These noodles are great as is, or you can add your favorite proteins for a fuller meal! Does this recipe call for rice wine vinegar or sesame oil? There is a disconnect. Thank you for pointing out my mistake! It needs rice vinegar and sesame seeds, though adding in a little sesame oil for a finishing touch can’t hurt! Udon are thick, chewy Japanese noodles made from flour, salt and water. They can be sold dried like spaghetti or precooked, sometimes found frozen section of the grocery store. If you can’t find udon, you can substitute your favorite noodles. I’d recommend trying linguine or a wheat spaghetti for a similar texture. Thanks for pointing out the ginger missing from the ingredients list, I have edited the recipe. It should be grated and added to the sauce. 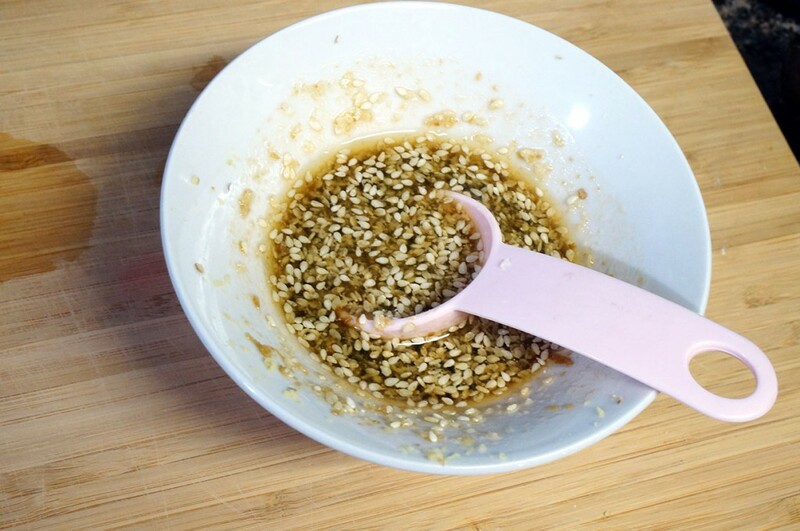 As for the suribachi, it really helps bring out the oil from the sesame seeds, giving it a stronger flavor. Just toasting them is good, but most of the flavor is still contained inside the shell. Using a mortar and pestle, or even better a suribachi since is has the grooves in the base, helps maximize the seed’s flavor.